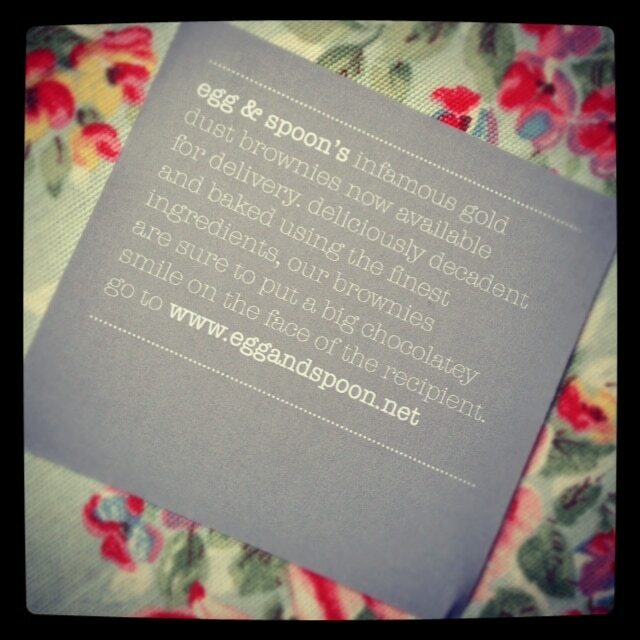 I’ve been sent all kinds of twinkly bits and pretty bobs through the post, but never have I been more excited than when a certain Gold Dust Brownie from the sensational Egg and Spoon hit my mat in a chocolatey cloud last week. Egg and Spoon are a boutique catering company in Sussex and specialise in creating bespoke and unique magical events; their Alice in Wonderland Picnic includes Gold Leaf Blackberry Jelly and Sea Salt and Black Pepper Lollipops. Uh huh. 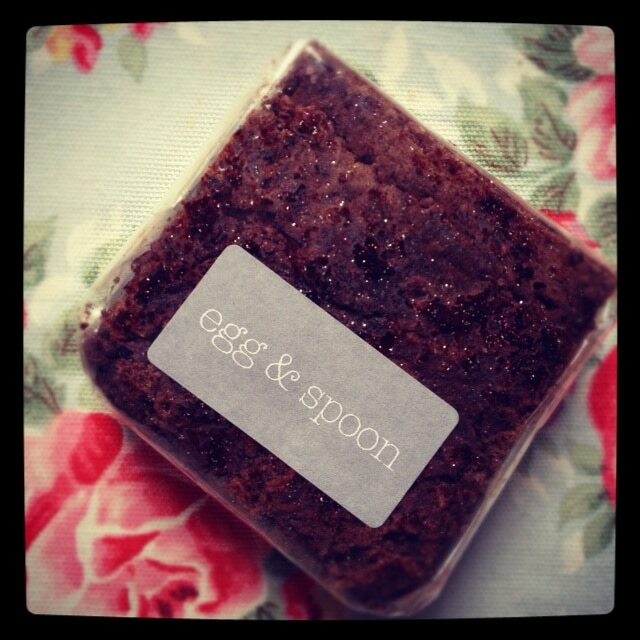 For those of us who aren’t in Sussex and wish for a bit of Egg and Spoon magic, then Poppy brings good news – their infamous Gold Dust Brownies are now available to order for delivery! For £6.25 (postage included) you can send one of your favourite people a most exceptional, sparkling (literally) brownie of the most gooiest and deliciousist nature. I devoured mine, with the help of my friend Gemma. She can vouch for the amazingness of them too – so you can ask her if you don’t believe me. Ding! For a few more pennies you can include a birthday candle too, so you can be saying Happy Birthday in the sweetest style from wherever you happen to be. Ding ding! The clever folk also make gluten free brownies! Goodie.